It’s official: we’re living in the post-truth AFL, and nothing makes sense anymore. To help us find our centre, let’s begin with a brief review of what went wrong for the Tigers and Demons. In short, plenty. But above all else, both Richmond and Melbourne forgot who they were, and allowed their opponents to play the game they wanted far too easily. Early doors, both clubs were languid and lacking in energy. That happens – see Cats, Geelong (2016, 2017, 2018) – though that is less excusable for Melbourne, who has been on a roll, than Richmond, who had a week off. 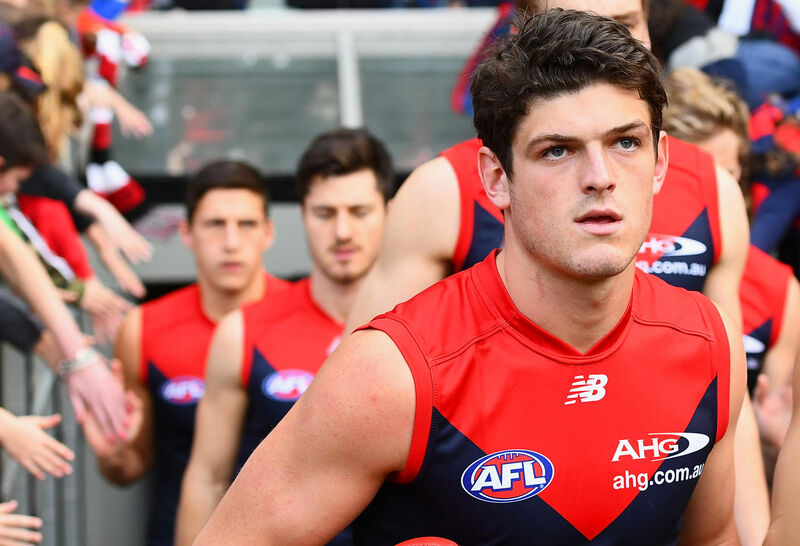 By conceding a streak of goals to begin their games, the Tigers and Dees made it hard for themselves no matter what sort of tactical edge they could muster. And this is where the post-truthiness of today’s league kicks in. Collingwood, off a six-day break, looked far fresher than Richmond, who’d had the week off. Yet Melbourne, with an eight-day break and having played two games in the two weeks prior, might as well have not shown up against a razor-sharp West Coast Eagles. The pre-finals bye matters, but it doesn’t matter at all. Richmond and West Coast both played the same number of games as each other between Round 23 and the weekend just past. It will not stop some folk raising it as a factor. 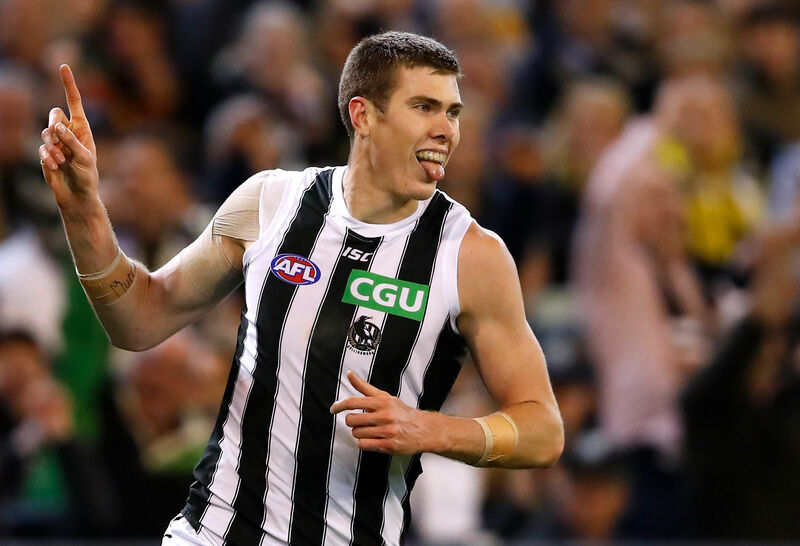 Collingwood’s midfield and forward line was completely dominant – exhibiting the sort of power and flex that we’d come to expect from their opponent. The Tigers had no answers to half of Collingwood’s team, but principally Brodie Grundy, Steele Sidebottom, Taylor Adams and Jordan De Goey. Its back six was a shell of its usual stoic self, the likes of Alex Rance, David Astbury and Nick Vlastuin looking like they’d never played a game of football in their life. Dustin Martin was ineffectual, and he hasn’t been ineffectual since 2014. And then there’s Maxon Freaking Cox. He took eight contested marks – though we might have to look into the definition of “contested” given his reach was six inches greater than anyone else on the ground – and kicked three goals that extended a 23-point crisis to a 42-point credit roll. Nothing makes sense anymore. The small ball Richmond popularised was made to look like last year’s fashion, relying on a lone hand in Jack Riewoldt to keep even the faintest of hopes alive throughout the night. Blanketed by Tyson Goldsack and generally double teamed on account of Richmond’s slow entries, Riewoldt still managed five goals one behind on the night. The club’s only other multiple goal kicker, Jack Higgins, was the other lone good news story out of the night: that man is not afraid, and is already a very good footballer. Collingwood, the king of the handball, kicked the ball 235 times on the evening and took 107 marks. Their kick to handball ratio was 1.35. The Pies season-long marks were 217, 92.8 and 1.17. It’s hard to rationalise this as anything but a deliberate strategic move by Nathan Buckley and his staff. But if the Pies were the kick kings on Friday night, then the West Coast Eagles were the kick gods. Already a kick-oriented team, the Eagles dialled up their third highest kick to handball ratio of the season (2.03) and took 96 uncontested marks (season average of 87, already the second highest in the competition) in what you would’ve thought was a tactic to keep the ball out of the hands of Melbourne’s powerful midfield. Except, well, Melbourne’s midfield failed to show up, and all the kicking and marking was a product of West Coast simply needing to do something with all the ball they were winning. The West Coast Eagles, who finished last amongst the top eight in adjusted contested possessions per game in the home and away season, beat Melbourne, who finished first amongst the top eight in adjusted contested possessions per game in the home and away season, in adjusted contested possession by five. That’s not a lot, but given that was ostensibly Melbourne’s game and West Coast’s weakness, it is frankly stunning. Nothing makes sense anymore. Both Richmond and Melbourne will be back. The Tigers may have Tom Lynch’s signature before the week is out – even if it’s in 2B pencil on a fake contract – and it’s hard to fathom their game day 22 playing a worse game as a collective. Melbourne was riding high and perhaps due a game of middling energy, though middling is about ten times the energy level Melbourne offered on Saturday. They’re young, and at a macro level will get younger again this off season. It’s hard to see them fading out of view now they’ve arrived. In March, you could’ve written your own ticket on a West Coast-Collingwood grand final. The Eagles were widely picked to slide down the ladder, to follow the path of topped up grand final losers who suddenly had to shed a bunch of players. A 10-1 start followed, powered by a forward-thinking game plan and just the right amount of young blood coursing through its veins. Seven of those games were at their new home ground, so when a 0-3 patch came after the bye the doubters put their heads above the punditry trenches. Adam Simpson and his charges have blown them all off. As for Collingwood, well, the signs were there for us all to see for some years, but as a collective we cannot be blamed for losing faith. Faced with plenty of adversity, coach Nathan Buckley and a new panel of assistant coaches – fresh thinking in the form of new assistants, not head coach stability, is the trend you’re looking for – have happened upon a winning formula that blends its potent and highly skilled midfield with a flexible and tricksy forward group. In coming from 13th and making a grand final, the Pies could be one of the least likely premiers we’ve seen in… well, just over a year (or two). Indeed, neither of these teams represent what is supposed to happen in the AFL. We’ve already had our first preliminary final round without one of the big three (Geelong, Hawthorn and Sydney) in an age. We’re about to have our fourth different premier in four seasons. And as will be the case for time immemorial, the team finishing higher on the ladder will this week travel to their opponent’s home ground for the last game of the year. Nothing in the AFL makes sense anymore.